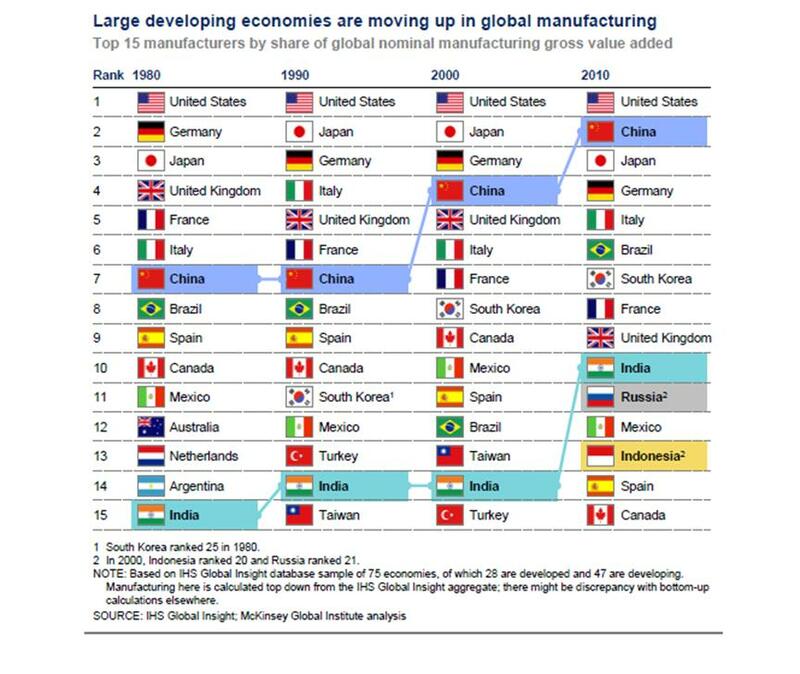 A great infographic on the movement (or lack thereof) of global manufacturing rankings over the past thirty years. 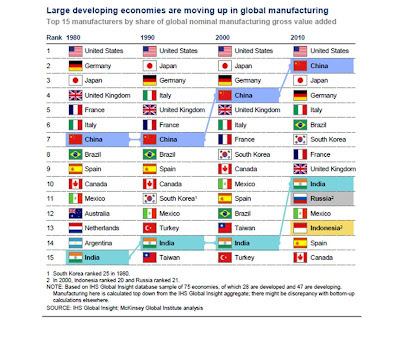 I know the point of a blog is to offer insights and opinions to readers to digest and discuss, but in this post I'd just like to let a graphic speak for itself, which I've sourced from a great report from the McKinsey Global Institute called "Manufacturing the future: The next era of global growth and innovation". The Report provides a wealth of information on the big global players in manufacturing and how their market share in various sectors has grown or eroded over the past 30 years. Everyone likes a list with country rankings and below is a graphic from the Report outlining the global rankings of developing economies over the past 30 years. South Korea obviously has made a substantial increase in ranking between 1990-2010, but look at the emergence of Russia and Indonesia in 2010. It will be interesting to see if they have longevity over the next thirty years. I'll come back then and let you know.